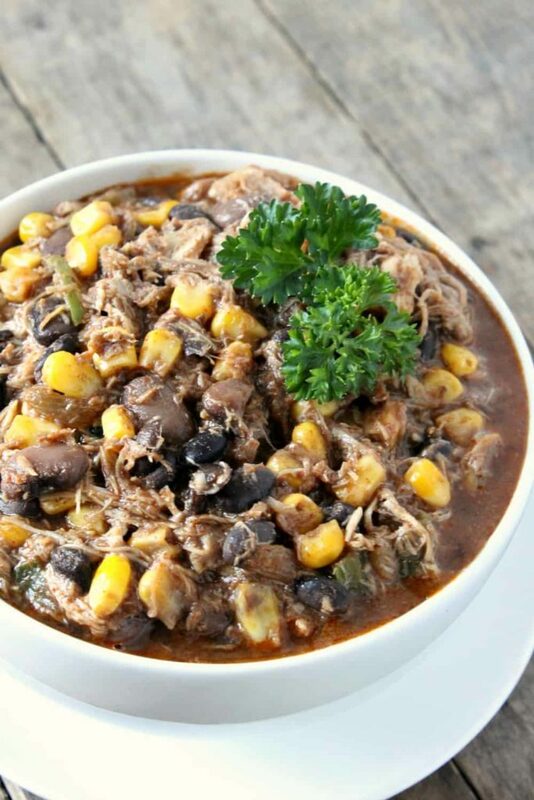 This Southwest Chicken Chili is incredibly easy to make and is full of healthy, flavorful ingredients. I don’t know about you, but as the days get busier and busier, easy dinners have become somewhat of a necessity. If it can’t be made in less than thirty minutes, I won’t even bother making it. But this chili only takes a little oven twenty minutes to make, from start to finish. It is by far one of the easiest meals I’ve made in a while and I can already tell it will become a regular dinner. Every week I cook a whole chicken in the crockpot, shred the chicken, and put it into a glass container in the fridge to use that week. Then I make broth from the bones and organs. And then obviously I make easy meals like this during the week that use already cooked and shredded chicken and homemade chicken broth. The first time I made this southwest chicken chili, I didn’t have any clue how long it was going to take to put together or how hard it would be. But I soon found out that it was a lot easier than I was expecting and that it only took about 20 minutes to make. I wasn’t sure how my family would like this chili, because it doesn’t contain any tomatoes, and everyone in my family is a huge tomato lover…except for me. But they seemed to like it just fine, as everyone was licking their bowls clean in less than 10 minutes. I’m sure you are going to love this easy and delicious chili! Dice the bell pepper and the onion and mince the garlic. Set aside. In a heavy-bottomed stock pot or Dutch oven over medium heat, pour in the olive oil. Add in the bell pepper, onion, and garlic and saute for 1-2 minutes. Add the chili powder, cumin, paprika, and flour to the pan and stir to combine. Cook for one minute. Pour in the milk and 1 cup of the chicken broth and cook until simmering. 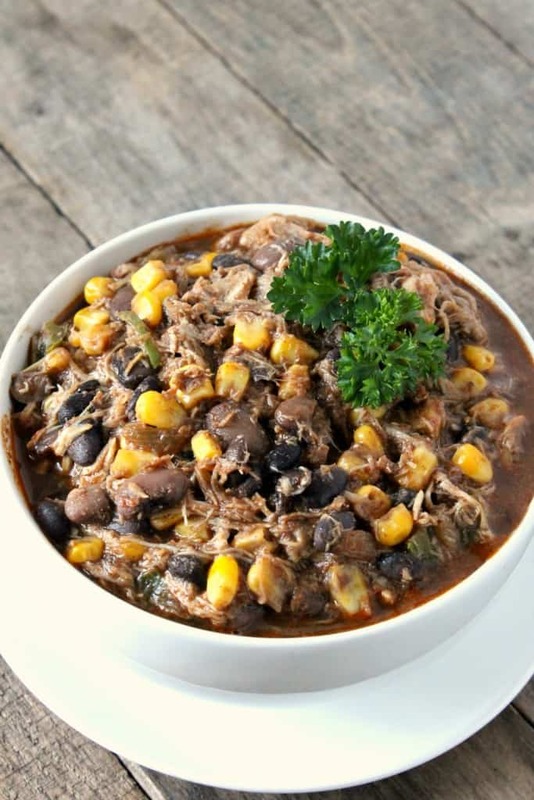 Add in the shredded chicken, pinto beans, black beans, corn, salt, and the remaining chicken broth. Stir to combine and let simmer for 10 minutes. Garnish with sour cream and fresh cilantro and serve with tortilla chips.